Sherlock Holmes is one of the classic characters of literature, and as such, has had his adventures turned into TV and movies, so people can share his adventures without all that pesky reading. 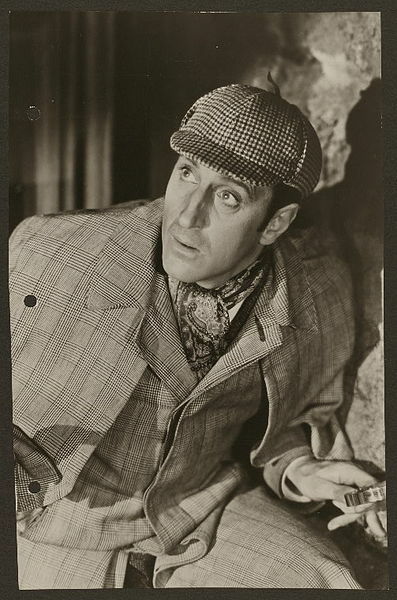 In fact, he’s suddenly so popular, that several franchises have taken advantage of Holmes being a public domain figure and produced alternate versions. There’s Steven Moffat and Mark Gatiss’ BBC TV version, Guy Ritchie’s films, and now a CBS TV series starring Jonny Lee Miller and Lucy Liu. Yes, really, that is an actual thing. Today I make my triumphant return to The Leaky Wiki. I cover a speech made at the UN yesterday (why a speech would be made at the UN on a Sunday I don’t know, but give me a bit of leeway here). Unlike previous entries on The Leaky Wiki, there’s no particular backstory you need to know, just to know what ‘the developing world’ is, and that it seems to me like the people at the UN like to talk. A lot. And, in a quite exciting piece of news (well it excited me at least, and therefore technically counts as exciting, in a linguistic sense) I’m writing for Den of Geek. My first piece, a defence of the recent reinterpretations of Sherlock Holmes, has gone up this morning. I’ve set out to read a minimum of 52 books this year, and write a brief review of each. I’ve reached a point that I didn’t think I’d reach this early – I’m justifying my selection by saying that it is technically a book. Although I’m reading from The Complete Adventures of Sherlock Holmes, The Valley of Fear was originally published as a standalone novel. So, I’m going to count it as such, even if it is just over a hundred pages long.